Please make sure that you have read, understood, and agreed with all terms and conditions before booking car. Your purchase of any car rental service on this website and our confirmation that The Services are available shall constitute a legal agreement between you and Kha Tran Car Rental Service. 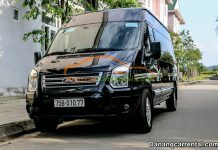 The booking car terms and conditions form the contract between you and Kha Tran Car Rental Service and govern the terms on which The Services are offered and sold on this site. All communication and confirmation documents (by email, or fax, etc.) between the customer and Kha Tran Car Rental Service shall constitute annexes and appendices to the contract. 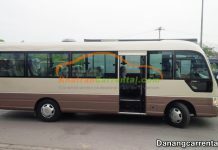 Who can booking car on danangcarrental.com? This site and all the services are only available to people and parties that lawfully enter into and form contracts under Vietnam laws. You must be aged 18 years old or more to book a holiday service on this site and there must be at least one adult (18 years old or more) traveling on any tour. Any booking car made in contravention of this rule will be notified and cancelled. If you are travel agent or tour operator, please visit send email [email protected] or [email protected] and give us your contact details. Persons with disabilities must contact us as soon as possible before any tour to determine if the particular tour would be appropriate. In many countries public facilities and accommodations for persons with disabilities will cause difficulties, restrictions and hardships over which we will have no control. In addition, we cannot provide personal devices or individually prescribed devices, nor can we provide services of a personal nature, such as wheelchairs. Please submit us a completed reservation form online here. You may also submit your completed written reservation form by fax or email. Kha Tran Car Rental Service will try every effort to give you our feedback within 48 working hours on receipt of your request. Below is a sample form of booking. You are required to fill in all fields. Customs and/or immigration officials can, at their own discretion, deny the holidaymaker entry into their country. A criminal record could be an obstacle in international travel, leading to a denial of entry. Kha Tran Car Rental cannot be held responsible for a denial of entry under any circumstances, and refunds will not be provided. It is the holidaymaker’s responsibility to obtain, at his or her own expense, all documentation required by all relevant government authorities. It is suggested that the customers be in possession of, a valid passport and correct visas and vaccination certificates required for the whole of their journey. Please ensure your passport is valid for 6 months beyond the duration of the trip. Our staff can consult and assist you about required documentation (such as entry visa into Vietnam…); information about these matters or related items (climate, clothing, baggage, personal gear etc) is given in good faith. Nonetheless we do not hold any responsibility in consulting and assisting, except for agreement between our staff and holidaymakers in advanced. 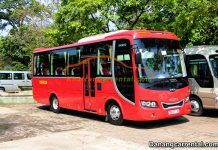 In case that the holidaymaker does not possess the documentation required by the destination or by Kha Tran Car Rental, we reserve the right to refuse operating the tour and the refund will be based on the cancelled services. Your travel voucher and related documentation (if any) will be sent to you by fax or email prior to arrival. The original copy of your travel voucher will be handed to you upon your arrival. Please read this information carefully and immediately and contact us if you find something unclear or incorrect. You will be met upon your arrival at the destination by Kha Tran Car Rental representative. If you have any queries or problems, please contact our representative and/ or our offices. Please address your complaints directly to Kha Tran Car Rental office from which you have bought the tour. Do not wait until you return home. Failure to complain on the spot will result in the possibility to be extinguished or at least reduced of the claim compensation from Kha Tran Car Rental. 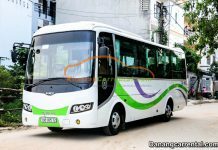 The holidaymaker agrees that any claim field against Kha Tran Car Rental shall be made by himself/herself in writing, emailing or faxing and received by Saigontourist Travel Service no later than 30 days after the event causing the claim. Saigontourist Travel Service will not be liable to claims or demands made more than 30 days after the event in question. Under no circumstances shall anyone claim from Kha Tran Car Rental any amount in excess of the actual costs of their vacation. Kha Tran Car Rental is not liable for any loss, injury, or damage to person, property, alteration of itineraries or cancellation in part or in full, caused by force majors including but not limited to climatic conditions, breakdown of machinery or equipment, acts of government or other authorities, wars whether or not declared, civil disturbances, strikes, riots, thefts, epidemics, quarantines, medical or customs regulations, terrorist activities. During the process of improving tour itineraries and features, Kha Tran Car Rental reserves the right to substitute car, driver or to cancel the tour prior to departure. If a major change is necessary or deemed advisable, Kha Tran Car Rental will inform the customers as soon as reasonably possible. Kha Tran Car Rental reserves the right to cancel a tour in any circumstances but will not cancel a tour less than 30 days prior to first day arrival except for force majors, or events beyond Kha Tran Car Rental control, or the holidaymaker’s failure to settle the final payment. Unless the holidaymaker fails to pay the final balance, or in case of force major or events beyond our control including the cancellation determinant of the customers, Kha Tran Car Rental, upon cancellation, will be liable for a full refund of the money received by us, or offer an alternative tour of comparable standard and will pay compensation on the scale shown above.